Wrong education about web technologies has seriously hurt web development as a whole. W3Schools is the worst offender in this area – and because they are along so long they tend to dominate search results. 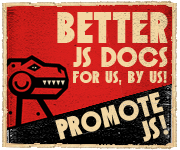 The PromoteJS initiative tries to fix this and now we have a new site in the ring. Help spread the word about W3Fools, an intervention for W3Schools.